When it comes to choosing an English speaking, technologically advanced destination for undertaking engineering course, the top three options these days are USA, Europe (UK) and Australia. There are a plethora of choices that are offered to the students when it comes to studying engineering courses. A few options are presented as below. Civil Engineering is a discipline of engineering that is concerned with the principals of design, construction , operations and maintenance of various super - structures such as buildings, bridges, roads, canals, dams etc., There are various specializations like geo thermal engineering, structural engineering, transport engineering, water resources engineering, coastal engineering and the like. Civil engineering career has wide range of lucrative options in both public and private sector across the globe with the ever expanding construction industry. Mechanical Engineering could be best described as that branch of science that is involved in harvest of heat and other mechanical energy for construction of various tools and mechanics that are beneficial for the advancement of the human race. The core concepts that make this discipline immensely interesting are mechanical energy, product lifecycle determination & management, automation of industrial processes, robotics, medical equipment and the like. Chemical Engineering could be best described as that wing of the science that harvests the potential hidden in various chemical combinations by understanding the basic nature, uses and reaction specifics. It is encompassed of physical sciences such as physics and chemistry as well as life sciences like biology and bio chemistry. Raw materials which are chemicals would be converted into value added usable forms by safe and sustainable procedures. Computer Engineering, the well renowned stream with ever growing popularity is basically made of design, operations and maintenance of computer systems as well as related peripherals& parts. It includes both software as well as hardware systems. There are a number of challenges that are faced by international students that choose to live and shape their career in a country that is not their homeland for various reasons. These challenges start with language and cultural differences that could create hindrance in the day to day living of the students. The students might not be able to communicate all their needs in a manner that is understood by the fellow students, administrators and professors. Secondly when a student's steps into a culturally advanced nation from a yet developing nation then he / she might witness certain new cultural display that might not be consistent with their understanding. Finally stepping into the main area of concern, the reading, understanding as well as assimilating abilities of the student might not be similar. The time taken by a student with native language as English in reading a piece of literature / book might be much faster than a student who is a non - native English speaker. Over the time, it has been often observed that these challenges tend to transform into strong depressing factors for the foreign students and at time to local students as well that are a little slower to understand and resonate. Engineering problems / research papers involve understanding and practical as well as apt application of the various concepts that has been delivered in various lectures in the classes. At every step in the problem solving cycle, the student is expected to read a combination of various literature spanning across hundreds of pages , resonate the linkage between these concepts, research external literature from various scholarly as well as online resources and solve a problem in the most objective manner possible. The problem solving / research exercise is followed by detailed and complex documentation as well as presentation techniques which are generally university specific / course specific. Many of these researches / problem solving generally happen in groups. In more instances than one it has been observed that instead of adding value, the sheer number of ideas tend to add confusion in assimilating the concepts and executing as well as presenting the research. These researches also need to be solid in terms of concepts and presentation as many Universities include a validation procedure that comprises of external experts. This could be many a times very frustrating and mind boggling to the students, resulting in infusing a sense of fear, eventually robbing off the self - confidence of the students. On a long run this may even result in delay / adverse results in the academic performance of the student deterring him / her from successful and timely completion of the course. All these could be infinitely simplified with timely assistance from experts that understand the exact requirements of each student. This assistance, unlike general lectures is highly customized to fit the level of understanding of the student and relative complexity of the individual research problem to be solved in order to satiate the precise requirements of the University / school. We could be the one stop solution for all your problem solving / research challenges that could be converted into opportunities for innumerable achievements. 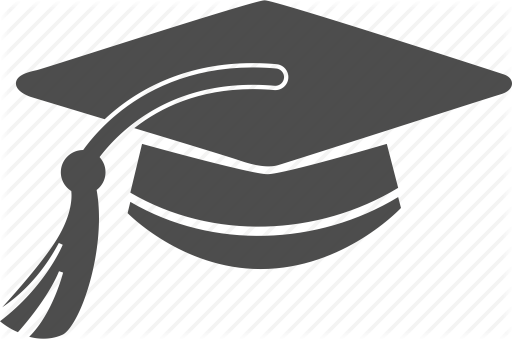 We are comprised of a panel of experts that possess deep understanding of the engineering concepts amplified by years of rich experience in tutoring and academic problem solving field. In comparison to other service providers we stand tall due to the accurate solutions that are provided with detailed yet simple explanations that are immensely helpful and engaging in nature. Our tutors are professionally qualified from top Universities across globe and have many years of rich experience in tutoring as well as problem solving assignments. 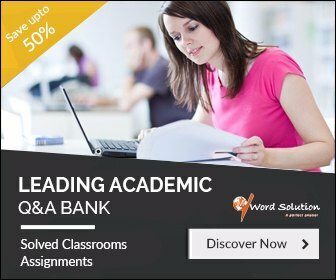 We at www.mywordsolution.com invite you to forward the problems / assignments / research papers that require assistance along with deadline. 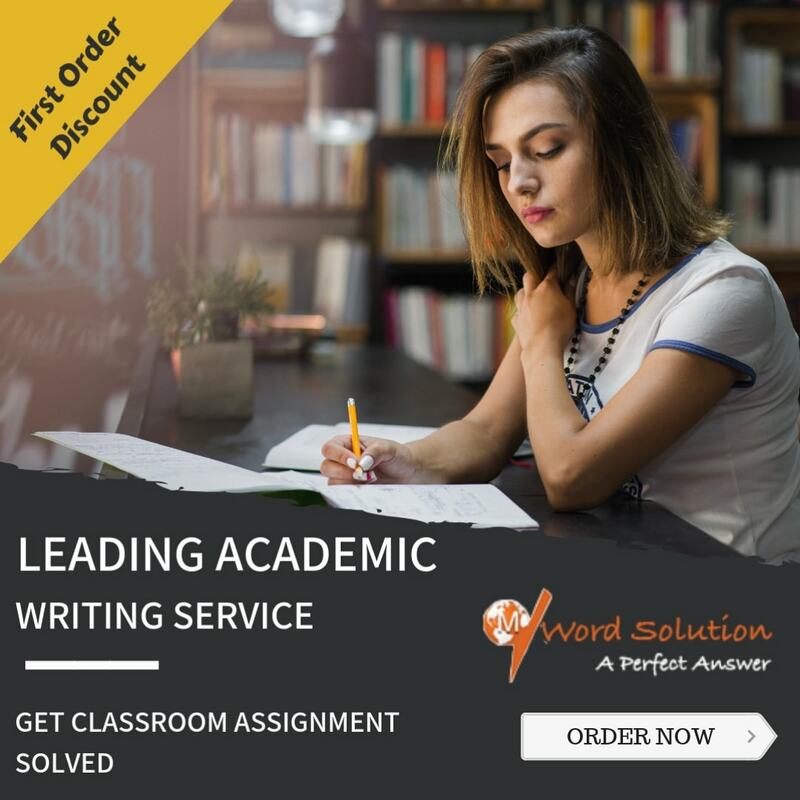 On receipt of the assignment / research paper/ problem our executive would provide you with a very reasonable quote and discuss other aspects with you over chat / call. Once all details are confirmed, you could remit the charges in the manner specified in our website. Queries could be resolved with the expert. Payment would be partly / fully refunded if the student is not satisfied with the solution.